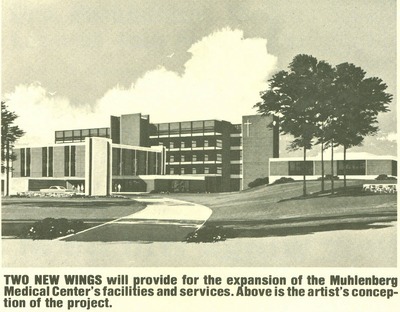 An Artist's Conception of the Muhlenberg Hospital Expansion Project. an artist's conception of the Muhlenberg Hospital expansion Project. Two New Wings.